Davide and Alessia run their family business in five store front locations in Rome and Torino. Davide was influenced by his older brother as a young boy to work with leather. He has designed a gorgeous line of purses and wallets in brightly colored leather with original designs while Alessia runs the production in the studio. All of their products are made by hand of real Italian leather and every item is made in Italy! We have collaborated with Davide and Alessia to create the perfect bags and wallets for people who love luscious Italian leather to hold all of one's essentials! And Davide is busy designing others bags for us in his studio now for future seasons. Shoulder bags in shades of pumpkin. 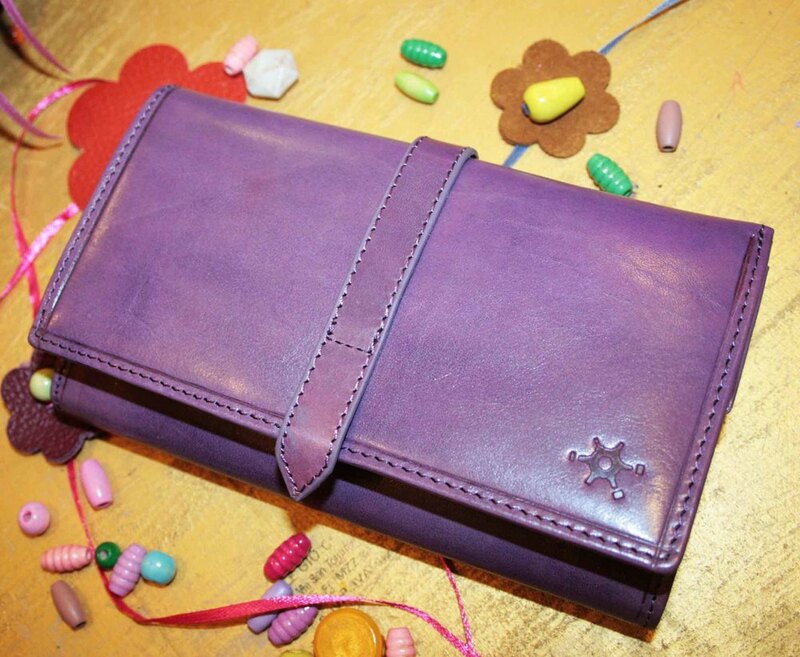 Gorgeous firm leather wallet for women in brilliant colors. Soft leathered wallets for every man.